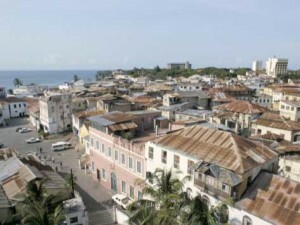 Mombasa Old Town is one of the historical tourist attractions on Mombasa Island. It is located on the southeast side of Mombasa and occupies an area of 180 acres. It is inhabited by a mix of local, Arab, Portuguese, Asian and British communities. 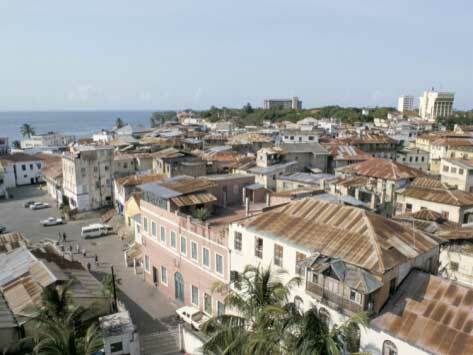 Fort Jesus (Mombasa’s most popular tourist attraction) is next to the Old Town. The architecture recaptures a bygone era influenced by the African, Arabic and European cultures, from the narrow streets to the high ornamental balconies. There are many curio shops that sell arts and crafts, antiques and popular Kenyan souvenirs. 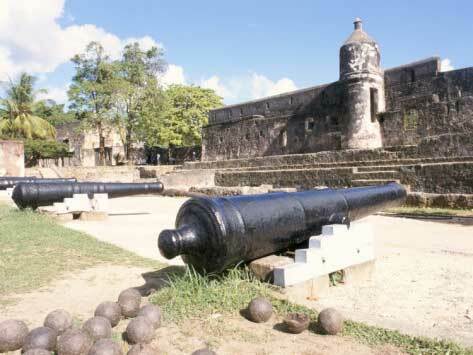 Fort Jesus was built by the the Portuguese between 1593 and 1598. It occupies an area of 2 acres. Between 1631 and 1875 it was won and lost nine times by the three major powers that were contesting to control Mombasa Island i.e. Portuguese, Arab and British. 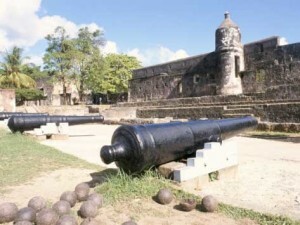 It was the first European-style fort constructed outside of Europe that was designed to resist cannon fire. Today, it is one of the finest examples of 16th century Portuguese military fortification. The fort’s architecture represents the rough outline of a man lying on his back with his head towards the sea (aerial view). When it was first build it had a height of 49.2 feet, but when the much taller Oman Arabs captured it. They added 9.8 feet hence the current fort stands at 59 feet. The British and Portuguese presence is felt by the presence of their respective cannons. The British cannons had a range of 219 yards and are shorter than the Portuguese cannons, which had a range of 328 yards. The Oman Arabs presence is felt by the many religious inscriptions into the beams and doorposts. Some of the historical structures that are still present include Oman House, which was the house for Sultan who governed the East African coast, an open water tank by the Portuguese and a 77 feet deep well sank by the Oman Arabs. When the British colonized Kenya, they used Fort Jesus as a prison, until 1958, when they converted it into a historical monument. UNESCO declared it a World Heritage Site in 2011 and it is now used as a museum, as a conservation laboratory, an education department and a primate research center. There are tailor-made Mombasa tours and excursions that take you to the Old Town and other tourist attractions in and around Mombasa e.g. Fort Jesus, Haller Park, Mamba Village, Gedi Ruins, Wasini Island, Kisite-Mpunguti Marine Park, Malindi Marine Park and Shimba Hills Game Reserve.